With hallways, courtyards and other cool spaces, McMenamins Kennedy School in Northeast Portland is a fun place for adults to explore. 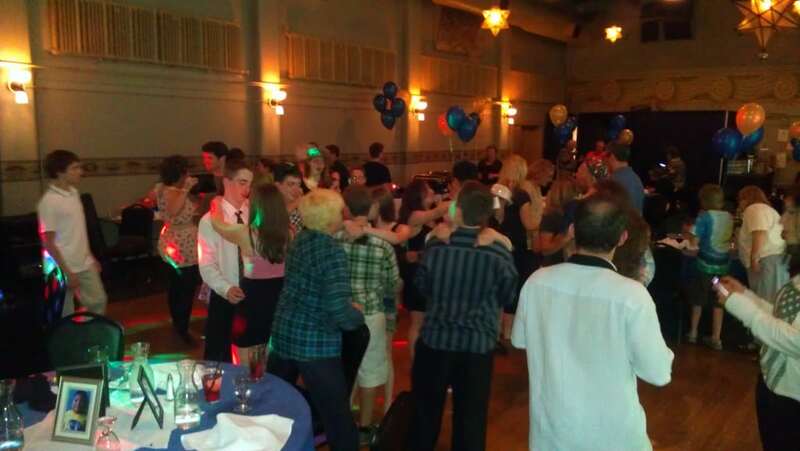 Turns out, kids like it as well, especially groups of boys attending a party for one of their friends. 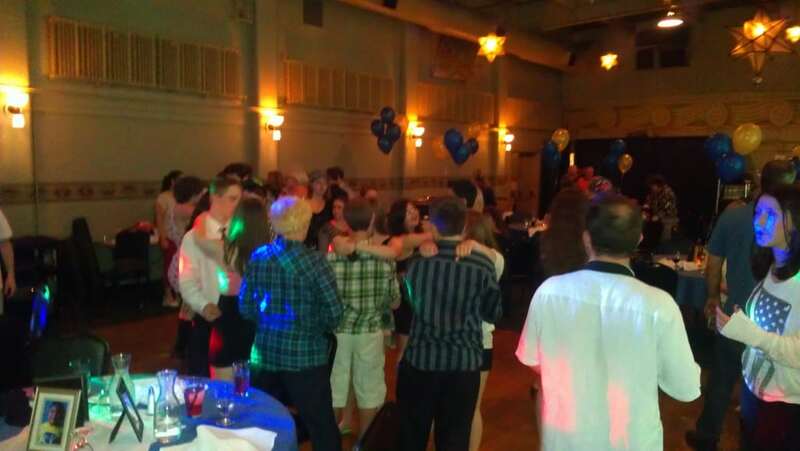 Hunter’s Bar Mitzvah celebration was held in the Gym on Saturday, June 16, 2012, and occasionally he and his buddies would dart out of the room to see what else was up. But they would always come back after a few minutes because there was much going on at the party they didn’t want to miss. After a short cocktail half-hour and dinner, the kids and I got right to it with a rousing version of ‘Name That Tune’. Hunter’s team was outnumbered, but they still managed to pull off a close win. Next up was a scavenger hunt… a napkin, pen and (surprisingly) adult woman’s shoe were easy items to retrieve… a hair clip though took some time. The kids were quick to move, but respectful and the adults were good sports with all the action around them while they engaged in conversation. After the early games, guests settled down to watch a video of Hunter’s life so far. 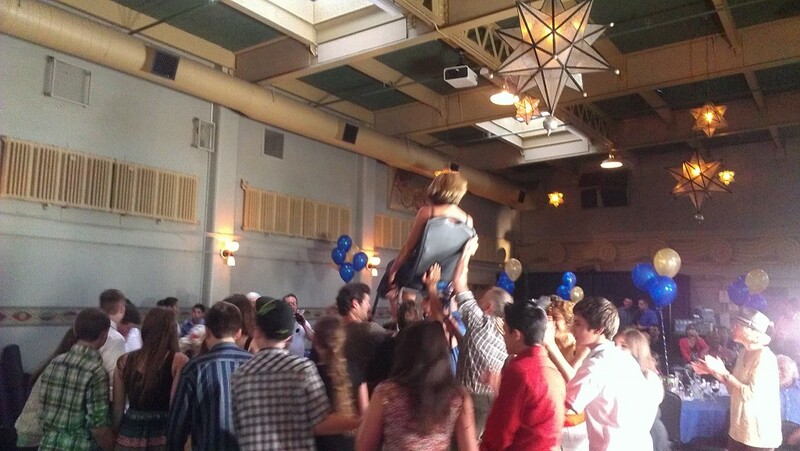 Immediately after, I invited everyone out for ‘The Hora’ and chair raising. 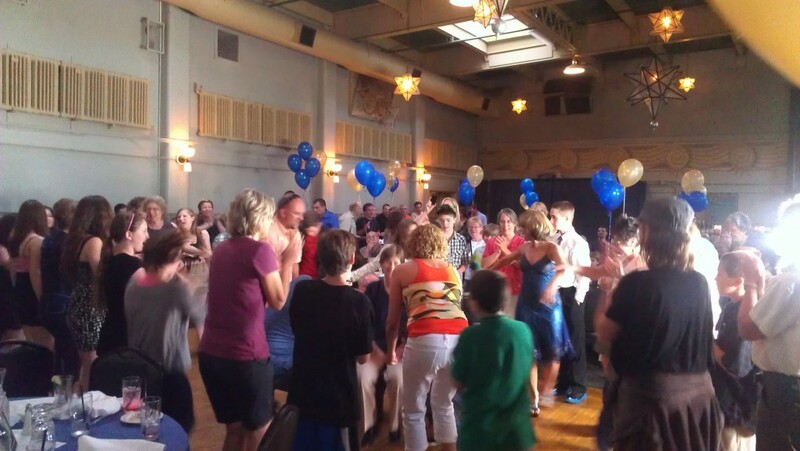 The traditional dancing eventually spilled off the dancefloor, winding it’s way through the dining tables. 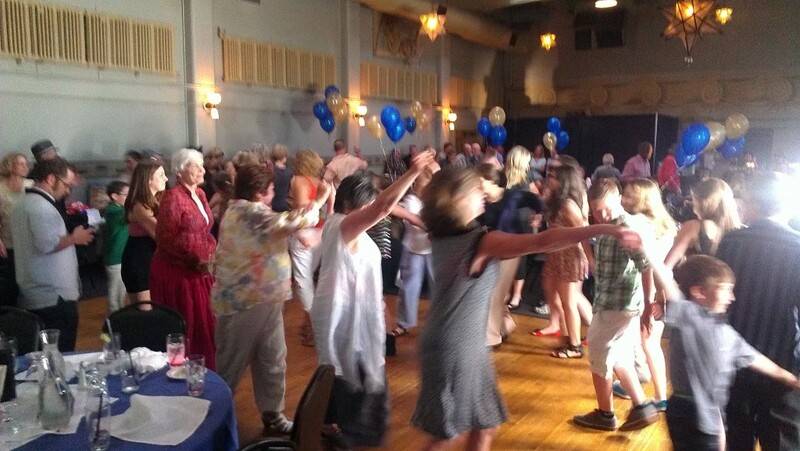 It was a good start and the energy was high, so everyone appeared ready for the hits from Black Eyed Peas, Maroon 5, Bee Gees, Michael Jackson, LMFAO, Flo Rida and more.